Breathtaking scenery is almost overwhelming around Mammoth. 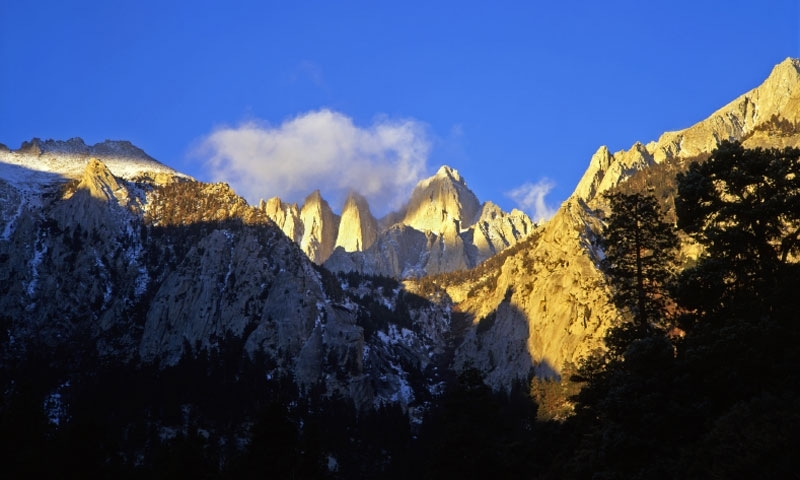 Mount Whitney, at an elevation of 14,505 feet, is the southern end of the John Muir Trail. Hike to the top of Panorama Dome on an easy one-hour trek. The Ritter Range is also accessible for hiking, taking you past beautiful lakes.